The Annual Historic Route 66 Arizona Road Trip Adventure! To sign up go to http://www.azrt66.com/ or call (928) 753-5001. Angel and the Delgadillo family are featured in a permanent exhibition about the Smithsonian National Museum Of American History. The exhibition features a section called "The People's Highway" which chronicles how Route 66 affected the lives of certain families during the 1930s and 1940s. The link above will take you to the online exhibit. In 2001, the Pixar team headed by John Lasseter, decided they were going to do a film about Route 66. Lasseter wanted his team to not only learn about Route 66 but to experience it as well. He asked Michael Wallis, author of “Route 66: The Mother Road,” to guide them on a journey of the historical and the present-day Route 66. Led by Wallis, the team embarked on a Route 66 road trip to diligently research their upcoming project which would become the beloved movie “Cars”. One of the things that inspired them the most was the story of the little towns that were by-passed by the Interstate system. This inevitably led them to interview the man who was so upset by being by-passed that he did something about it: Angel Delgadillo of Seligman, Arizona. They interviewed Angel for hours. The Pixar crew heard the saga of Seligman’s by-pass by I-40 when the 9,000 cars traveling through town each day on Route 66 disappeared. They learned of the long years Seligman spent with little traffic and little income coming through town. They discovered that the triumphant return of Route 66 was due to this small town barber’s efforts to rally local business owners to help him revitalize the economy of his hometown. 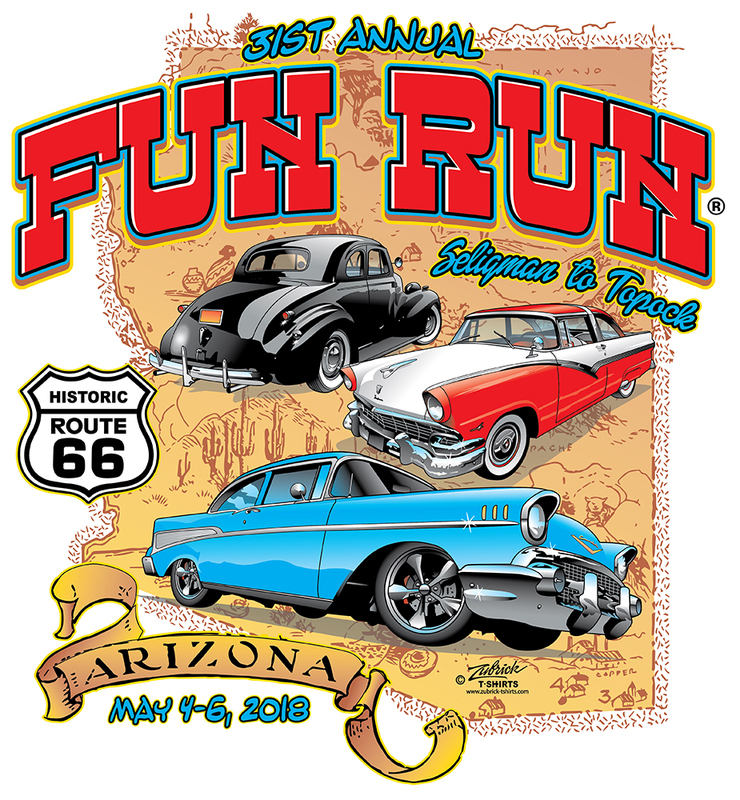 They learned how Seligman celebrated their success in the revival of Route 66 by having a big party where everyone put on their neon and cruised through town. Although the look of the town of Radiator Springs is a composite of Route 66 landmarks from across the country, Angel’s account of Seligman and its relationship with Route 66 helped create the narrative of the animated town. Angel’s story of Seligman essentially became the story of Radiator Springs. You can see some of Angel’s interview with John Lasseter on the “Inspirations” special feature on the “Cars” DVD or on www.youtube.com/route66giftshop along with many other Angel interviews and entertaining videos about Route 66.